Also the home of Well Educated Mind, Around the World, A to Z, Dusty and Chunky and various mini challenges. The rules are very simple and the goal - read one book (at least) a week for 52 weeks. I'm in. Haven't revived my blog yet, so just posting here for now. I know I'll have no problem reading fiction, hoping to be more intentional with my nonfiction this year! Great! That's one thing I need to do more of as well - read non fiction. Great. Will stop by soon. I'm definitely doing this! http://coleeindc.blogspot.com/2014/01/52-in-52.html I'm a little late in posting my first book, so I'm going to post two books this week. I am doing the A-Z Challenge. I have so far read Anna Karenina and The Breakdown Lane. Anna Karenina was hands down the longest book I've ever read!!!!!! The whole time I kept wondering when it would end. Not that I didn't enjoy it. I did. I felt there were certain subplots that didn't need to be needed. If the book was just about Anna Karenina and not about Levin, it would have been more shorter. It is a classic and an amazing book. Breakdown Lane was better than I expected. It's a recommended read. The book is very relatable to me because I have a screwed up family as well that dealt with some of the issues that are in the book. I am now just starting to read a book for C- The Condition. Just read J.K. Rowling's new book The Cuckoo's Calling instead of The Condition. It was pretty good. The book was definitely well-thought. The mystery part at first was a little confusing and there were certain parts that I had to reread but overall was really good. I like how Rowling knows how to make distinctive characters where you are able to visualize them. Signing up again this year, so I can show I can do the record keeping as well as read the books! :O) Will try one or more of the mini-challenges (I'm liking the monthly theme idea especially). Look forward to participating in 2015. I am not done yet but will answer the questions by December 31st! 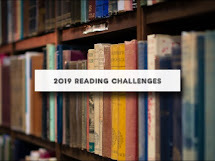 I'm joining again this year...and this year I hope to keep up with linking the books I read. Last year I kept on forgetting, but had a wonderful time reading 90 books. I switched to mostly non-fiction, and it has made a real difference in my life. Great! My hope is to tackle more nonfiction. We will see how that works. Yey! Im participating! Here is the post linked back to this blog: http://coffeestories.pinaytravelista.com/2015/01/522015-52-books-in-52-weeks-challenge.html Good luck to everyone & happy reads! Welcome and I'll be dropping by soon! It's wonderful that this is still going :) I'm looking forward to posting my reviews again this year and seeing what interesting books I find. It's always great to read book reviews by others here too. Hi Marian, No one is ever late. No matter what week we are on, that's the week to link up whether its book 1, 2, etc, etc, etc. So blip over to week 8's new mr linky and add your link. Hey doll! Please go to week 8 post and add to mr linky there. Thanks!